City life with the noise and traffic can be over whelming for our bodies and mind, seeking down time in a quiet and relaxing atmosphere is a great way to recharge. 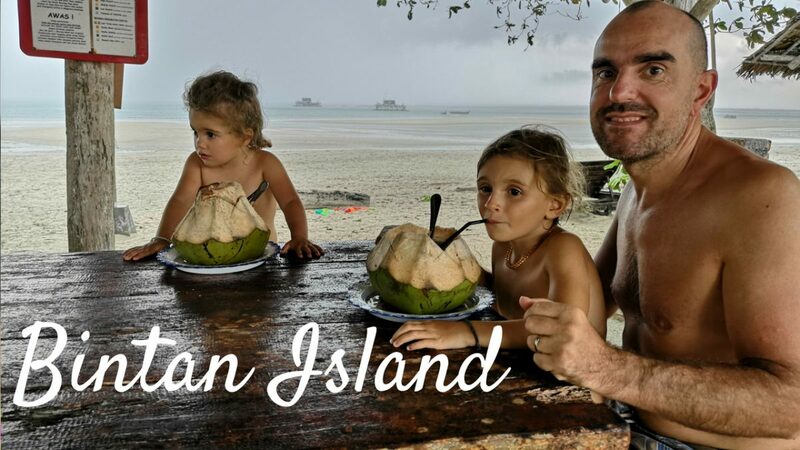 In Singapore local people and even tourists visiting are fortunate to have a perfect place to escape city life on their doorstep, a short ferry ride is Bintan Island in Indonesia. Bintan island in Indonesia is a popular short break destinations for Singaporeans. Unfortunately, many choose to flock to big 5* resorts on the island with standard facilities and services which really only transport people to a more relaxed environment surrounded by the same people as they live with in the city. Marc the owner of Mutiara beach resort has much the same mindset as Marco and I. He agrees that the most beneficial part of travel is when you are in touch with your surroundings and the culture of the place your visiting. Marc explained this was was his driving force behind the creation of the Mutiara beach resort which opened in 2005. Life at the resort is simple and relaxed, the beach is gorgeous it sits on a natural bay used by local fishermen. During our travels in South East Asia over the last 8 months we have always had the most rewarding experiences in the most simple of environments and the Mutirara resort seemed like the perfect place to spend our last week in South East Asia, after 8 months of travel in Asia. The resorts is embedded in a coconut plantation with simple bamboo and wooden bungalows dotted between the coconut trees, simple paths lead lined with flowers lead you around the resort to the restaurant, beach and spa. At the back of the resort there is a small river surrounded by mangroves. The bungalow we were staying actually backed on to the mangrove, which I imagined would be full of mosquitos but it wasn’t and in fact the river created a natural air conditioning system, keeping the lounge area cool. Our daughters are happiest and most relaxed when they can run wild, so our days were spent beach combing for shells, swimming and spotting fish in the sea. We even taught Isabella to paddle board the conditions were perfect; the tide was going out which created the perfect environment to learn, calm knee deep water and there was even kids life jackets for extra safety. What made this secluded fishermen’s beach interesting was the small but abundant reef which lay 200m from the shore, it was great for snorkelling. Considering how busy the waters are off the coast of Singapore it was lovely to find the reef teeming with fish. One of the most fun parts of our day was when Marco or I would paddle board out to the floating fishermen huts that dotted the bay, the girls would sit on the front of the board trying to spot fish and the corals. The beach club was small wooden structure at the beach which was a great place to relax especially when the daily downpour of rain arrived, it is filled with books and all the water sports equipment. The staff at the resort are mostly local to the fishing village and they were all friendly and welcoming. The resort is quite isolated, so we would recommend getting full board accommodation. The restaurant is good and has a range of western dishes including wood fired pizza which was delicious! Another welcoming surprise was the Aroma River Spa which lies at the back of the resort on the mangrove river. If your feeling adventurous and wish to have a treatment, I would recommend taking the small rowing boat to the spa which is a great way to start your relaxation time and the spa staff will welcome you with open arms. At the spa each of the cool, tranquil treatment rooms sits over the river on raised wooden stilts with walk ways joining them. Marco and I indulged in a scrub and massage treatment. All the products are natural and of Indonesian origin and the staff will help you choose the best oils and scrubs related to your requirements, for example I had quite a few mosquitos bites, so they advised a lemongrass and peppermint scrub. It was wonderful, very professional and also helped considerably with by bites. I was no longer itchy and didn’t seem to get any additional bites. So if find yourself in Singapore and are need of some real rest and relaxation away from city life. We can’t recommend the resort enough, for a relaxing time in a natural environment. The bonus was the other guests at the resort were also independent travellers so many of our evenings were spent recounting many of mis adventures around the world. DO – Have a spa treatment at the Aroma River Spa. I can recommend the scrub and massage. DRINK – Coconuts: the staff will go and cut one down from the palm trees for you. You can’t get much fresher than that. PLAY – Go paddle boarding and snorkelling, so much fun especially for kids. WATCH OUT FOR – Sand flies primarily out at sunset, especially when the tide is out, to protect yourself cover up your back and the backs of your legs, as this. The resort provides free mosquito repellents too. Also be careful of other insects and wild life, we saw snakes and monitor lizards in the river, most are harmless but do inform the staff it you see a snake and they will check it for you. GETTING THERE – Take a ferry from Singapore Tanah Merah ferry terminal to Bintan Resorts Ferry terminal. Book online in advance as you save money, guaranteed. Check on google for ferry to Bintan Islands and few options will come up. The ferry can be expensive if booked on weekends or public holidays, so, if you can, try to travel during the week as fares can be as low as 20 US Dollars return. From the airport to the ferry terminal is 10 minutes ride. The guesthouse is on Bintan’s east coast. Take a private taxi to the resort (Mutiara can arrange this for you) which is about 50 minutes journey and costs 650 Rupiah approx 45 US Dollars. Eternal adventurer and Wanderlust seeker! Always thinking about and planning our next adventure, hence the name"Thinking Nomads"! Wife to Marco (Viaggiatori) Mamma to Isabella and Maya. India, Nepal and Vietnam are my top three countries! Norway, Iceland and South Africa are top of my bucket list! We are Felicity and Marco Allegri, passionate adventure travellers. 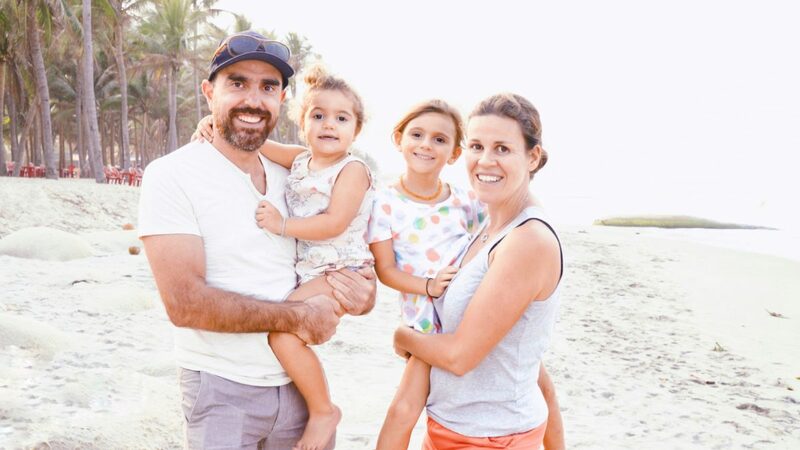 Now travelling full time as family with our daughters Bella and Maya, proving that adventure travel doesn't stop the minute you become a parent. Need some inspiration? Follow our travels and adventures, currently in Western Australia.